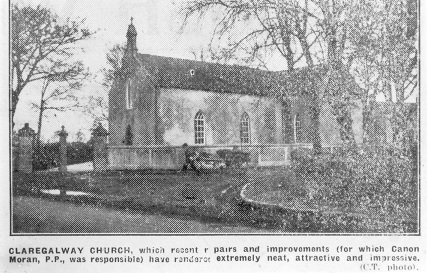 In 1838 Fr Thomas Hosty was appointed Parish Priest and he set about building a new church on the site of the present day church. However, his efforts suffered a major setback when the roof of the church was destroyed on the night of the big wind, 6th January 1839. 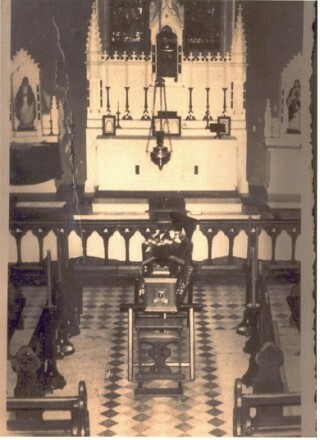 Fr Hosty died in America before the church was completed. Local tradition has it that he was robbed and murdered at the quay-side on the day he was due to return home. 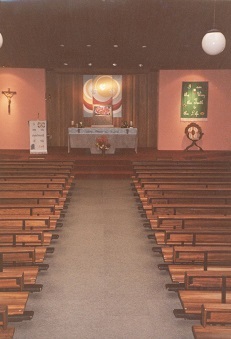 His sister, who was also his housekeeper, was angry at what happened to him and is said to have burned all the parish records up to that date. 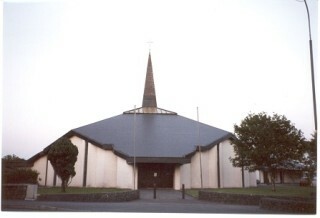 Fr James Commins was then appointed as Parish Priest and on the 24th June 1858 the new church (pictured above) was completed, 20 years after work first began. This church was demolished in 1974 to make way for the building of the present church of Claregalway and this was officially opened on the 15th August 1975.